I have an update on our good friend Sharon. She underwent a four hour surgery yesterday. They opened up her chest to remove a large pus capsule. Sharon's family is by her side and her husband said after the surgery she had a little something to eat and was feeling okay. They are hoping she'll be able to get her out of bed for a short walk in her room today, which will help get her lungs working and draining fluid properly. Please keep Sharon in your thoughts and prayers. 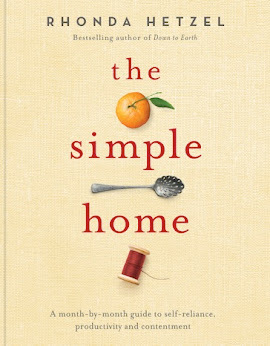 I hope our next update will be to tell you she's retuned home. I continue to receive emails asking how to cut down on spending and if there is one good way to do it. Well, no, there isn't, it's always small things, done consistently, and never thinking anything is too small be included in our savings plans. The trick to saving grocery money is to keep those small savings coming because over the course of a year, they add up to large amounts. Laundry liquid and laundry powder are good examples of this so I did a price comparison to illustrate that point. BTW, I know that many of you already make your own laundry and cleaning products but there are new comers here and those who are yet to be convinced. Next week and the week after, I'm doing a soap making workshop at my local Centre. Yesterday, I started preparing for the workshop by making laundry liquid and writing some notes. I haven't made laundry liquid for a couple of years because I usually use laundry powder - it's easier and quicker to make but I know it doesn't work in everyone's washing machine, so I'll be showing everyone how to make both the liquid and the powder, as well as bar soap. The recipe I used for this is the one that's freely available on the net. I bought my supplies from IGA but have checked that they're also available at Woolworths. If you're in another country and can't find washing soda or borax, try your supermarket, hardware store or brewing suppliers. If you have no luck, look on the web. Lux Flakes 700 grams $6.65. I weighed everything on my electronic scale to get accurate costings. To make a comparison, Dynamo, one of the leading laundry liquids here, costs (at Woolworths) $8.27 for a one litre refill pouch. So 10 litres of Dynamo would cost $82.70 Making your own saves you $80.95! I would imagine that 10 litre of laundry detergent would be enough for the average family for a year. So on this one product, over the course of a year, you'll save over $80 if you make it yourself. AND! you'll have enough of your ingredients to make it several times. Some people notice their whites getting a little greyish after using the homemade powder or liquid for a while. I think that variation is the result of having either soft or hard water. I use a scoop of Napisan - an oxygen bleach - every so often and that fixes the greying problem. You can add Napisan (or the Aldi equivalent) to your liquid or powder if you want to. Even adding that won't alter the excellent value for money you get. The cheapest Napisan I found was $11.70 for 2 kg, you could add a scoop to any load you needed it for. Dynamo with Sard (an oxy bleach) costs $10.64 a litre. 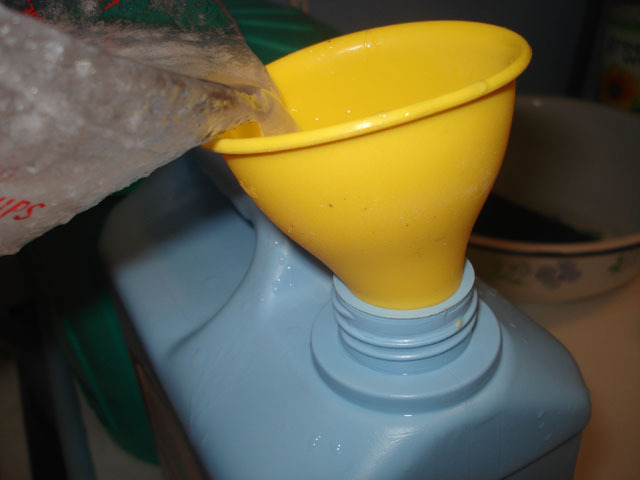 I use homemade laundry products in my front loader, have never had any problems with it and always get a good result. If you use your grey water on your garden, leave the borax out. Borax is a whitener and deodoriser, so add the oxy-bleach instead. If borax builds up in your garden, it will damage your plants. If you can't use oxy-bleach either, make sure you hang your clothes in the sun to dry. That has a slight bleaching effect. When you finish making the liquid and have mopped up with your rag, put the rag in the washing machine. It will probably contain a fair bit of liquid and you won't need to use as much laundry liquid in that next wash. So, how do you make it? Take 1 cup soap - either flakes or grated, ½ cup washing soda, ½ cup borax and add it to 1 ½ litres/quarts of water in a saucepan. Put the saucepan on the stove and heat the mixture. Stir until all the ingredients are completely dissolved and remove it from the heat. I do all that in the kitchen, then take the saucepan to the laundry. Get a large container - a bucket or tub that holds at least 10 litres/quarts, and measure in about 8 litres/quarts of cold water. Add the hot soapy mixture and stir. That's it! As it cools, the mixture will turn to gel. You can add fragrance at this point if you want to but I prefer to keep things as free from additives as I can. Gather some containers and pour it in. Please note: the gel gets quite thick, so make sure you use a wide mouthed container or leave enough room in the container to allow you to shake it well before you use it. Add about ¼ cup of this liquid to your machine for a good wash. It's fine in a cold water wash. This is the mixture after it's been mixed with the water. Both here and in the following photo, you can see that it's starting to gel up. You will notice that the container with the red top has plenty of room in it to shake the contents well before use. I'm going to make a small test batch of washing liquid using my homemade liquid soap instead of Lux. I doubt there will be much of a difference, but I want to be sure. BTW, when I get the time, I'm going to make another batch of liquid soap that I want to be a bit thicker. The liquid soap I have now is as thin as water and when I use it in a soap dispenser, I waste a lot. 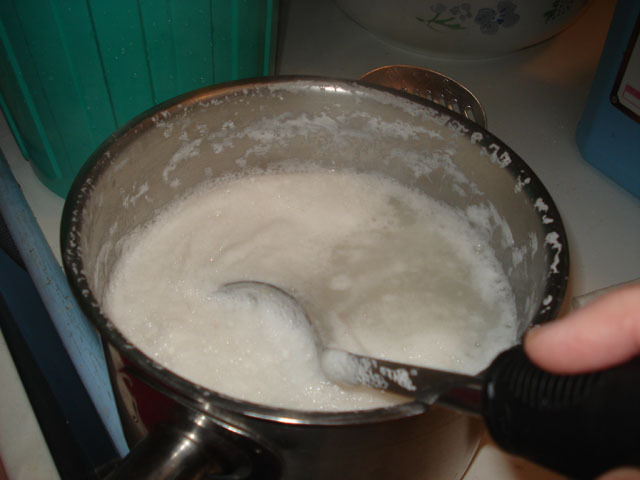 Making your own laundry liquid or powder at home is just one of the many ways you can save money. Add this to the savings from stockpiling, shopping for bargains, making your own green cleaners, jams, cordials and baked goods, cooking from scratch, and being as thrifty as possible with everything you use, and you'll see the savings come in. I am sure that once you've worked out ways to modify the way you shop and use your products, you'll notice the difference. And isn't it better to have those dollars in your pocket, or paying off your debt, than in the hands of big business? All it takes is a deisre to do it, some organisation on your part and the work to make the products. You've got the information, now it's over to you. ADDIT: If anyone has accurate costings for laundry liquid in other countries, please send them to me so I can add them to the post. Thanks! This is a costing for our Canadian friends from Melissa at empress of dirt blog. Thanks Melissa. I have done the calculations for making laundry liquid in Ontario, Canada. Our prices here are pretty close to yours. I use chopped up pure bar soap (6 bars/$7.00), washing soda (3kg/$8.99), and borax (2kg/$6.59). Total = $1.87 for ten litres. I made the liquid laundry soap and really like it. However now I cannot find the Washing Soda anywhere. I live in Ontario, Canada. Can you suggest any alternatives or perhaps you know where I could source some out? I've just started using the homemade laundry powder I saw here for about 2 weeks now, and I don't think I will ever go back to the commercial brand. One thing I have noticed in particular is there really is now no need for fabric softener. I would use fabric softener on everything otherwise it would come out all stiff, but with the homemade stuff, there is no stiffness. Also, my front loader smells nicer. If it has been closed up for a day or 2 there is no musty smell. Two things I was not expecting. So thanks Rhonda! I've managed to buy washing soda in Ontario in a few locations. Stratford Ontario has it at their bulk store which is close to the Food Basics and the Zellers store. I've had much luck buying it at stores where the Amish shop as well. And in Guelph I've found it at 2 stores but can't remember the names right now. Keep at it! Bulk stores are the best places to find it, and once I got a bulk store to get some for me! Best of Luck Musical Maggie! Sharyn is still in my thoughts and I'm so happy that she is recovering. I will be making your washing powder today Rhonda. Funny thing is, thing is something I haven't done before because I have a front loading washing machine and am always told to only use the front loading powders so as not to wreck my machine. Interesting how we can get so sucked in with what you 'must do' when it's probably the companies that make the product telling us so. 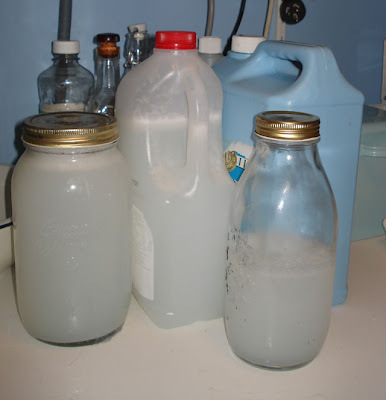 I've been making my own laundry liquid for a while using grated Sunlight soap, borax and washing soda. I'm thrilled at the savings. However, I recently came across a blog post (passionatehomemaking) which highlighted some concerns about the safety of borax - even though it is a natural product. This has now left me unsure as to whether I am doing the right thing. Do I choose saving money over health/safety? Have you read any of these articles which raise concerns about borax? I do use a whitener/nappy soaker made by a eco-company as I prefer to avoid Napisan but it is expensive so it is used selectively. The other point I picked up on at this site was not to add essential oils to your mix because they weaken the fibres in fabric. All the supplies are very difficult to find where I live in Texas. I finally found a local hardware store that carries bar laundry soap and borax. As for the washing soda (or sodium carbonate), no one carries it. Instead, I buy something called Ph Plus from the local pool supply store. It is exactly the same thing as washing soda, just packaged differently. Just make sure you buy sodium carbonate with nothing else in it. I have made both liquid and powdered detergent and love both. The powdered takes up less room so I usually make it. I grate up Fels Naptha laundry bar soap in the food processor and process all the ingredients to a fine powder. I've had no problems with it dissolving in a cold wash. Oh, and the best part is that it gets even my son's diapers clean. Thanks for the powered soap recipe, was wondering how to make that, as i prefer powder over liquid. We once bought a Kandoo hand pump foam dispenser soap for my son (to encourage him to wash his hands - he really is a manky child). It was extortionate but what I've found we can do is only quarter fill it with normal liquid soap, top up with water and give it a shake. The dispenser then produces foam of perfect consistency. Maybe purchase a similar dispenser, Rhonda? The initial outlay would soon be saved by using thinner soap. I am definitely going to make up this laundry recipe; looks great whilst being economical! I am just wondering, Rhonda, whether you have to use a warm water wash, as I tried a recipe like this once before and the minute it mixed with cold water the gel became lumpy and didn't dissolve. Musical Maggie: I'm in Ontario. I get my (Arm and Hammer) washing soda in the laundry aisle at Zehrs/Lowblaws. Thanks for the update on Sharon. I hope she will be going home soon. Maggie in Ontario - I am in Alberta and I have been able to find washing soda at the Real Canadian Superstore. I was buying it at Wal-Mart, but couldn't find it last time. Hope this helps. Just wondering, can you use any organic bar soap for the powder mixture (like Dr. Bronner's lavender bar soap?). I have never seen Lux soap or laundry bar soap. a couple years ago, i excitedly made the laundry liquid and thought it was fantastic... for a few weeks at least. sadly, all our clothes ended up going grey and rather old looking. i won't be doing that again. now we are on property and are lucky enough to be able to use filtered bore water for our clothes washing. powder won't dissolve in bore water, so i am now using the earth choice liquid. at just over $2 per bottle, i find it quite economical. i'd still like to be able to my own, it's just a pity that it isn't kind to the clothes. she mentioned that and she uses oxy-clean etc occasionally. I use an extra rinse once in awhile and and add white vinegar to my fabric softener space or just right in the top to remove all traces of soap. Your whites will need an occasional blueing. I have never had a hard time finding arm and hammer (aka washing soda) keep looking! You can also heat baking soda and create your own washing soda. I'm not sure how much your liquid detergent ingredients cost here in the US. I don't like soap flakes for diapers because it tends to trap smells for me *shrug*. We invested 100$ in a 5gallon container of charlie's soap when my 26 month old was 3 months old, and we've only barely gotten through a third of the container! Musical Maggie, washing soda is also sometimes called lectric soda. If you can't get it at the supermarket I'd try the hardware store or pharmacy. I've been using this washing powder for about a year now. We live in the tropics and it works really well. My husband was affraid at first but now he's a fan. We use white cleaning vinegar as fabric softner and it als helps to clean the tub. The kids school uniforns are white tartan and I have noticed that they get grey so once a month I give them a soak in napisan, but I might try adding it to the powder. Hadn't thought of that! Thank you. Hi Rhonda. I haven't made washing detergent yet but this looks entirely do-able, thanks. Good to hear news of Sharon. The greyness is due to optical brighteners in regular laundry detergents. They are ingredients that reflect blue light, which believe it or not, makes things 'glow' white to our eyes. So your clothes aren't actually becoming grey and old looking, you're just slowly removing the mirage of reflected blue light! Sue, it is right not to mix up top loader and front loader _detergents_. For one, it voids your warranty! Top loader detergents are 'high suds' because of the human belief that suds = better washing :-P The tumbling action in a front loader achieves this with low suds capacity, hence the detergents are made differently. Excess suds in a front loader can be problematic, and you can even have the bubbles climbing out of the detergent draw. Don't ask me how I know.... Soap doesn't lather like detergent does so its easy to be deceived that homemade laundry detergent isn't cleaning, because we *think* we need suds. It's not true though. And it's fine to use in a front loader, but soap scum CAN build up, and front loader manufacturers often advise against the use of soap for this reason. But it's easy to clean the machine out if there is a visible build up by doing a hot wash, or plenty of vinegar. Vinegar is a great fabric softener anyway. re: choice of soap.... it doesn't matter at all, it can be the cheapest on shelf, e.g. Homebrand or Sunlight here in Australia. You're not looking for skin nourishing properties and high glycerine qualities with laundry soap, so just buy the cheapest. I think Lux is one of the most expensive actually, and I'm sure Rhonda will concur ;-) But it's already flaked, and the alternative is grating a bar of cheap soap which can be very time consuming and painful! I don't think borax is an issue if you've got a sewer system as it is treated adequately that way. But you don't want it in a septic system or if you're recycling your grey water on to your garden. Awesome information, your site is very beneficial. I have all the ingredients on hand to make the liquid soap and I will try it today. I will post results on my site and link back here for my readers. Thanks a lot! I have made my own laundry soap in the past, but I recently switched to Soap Nuts. I *love* them! After they have been used 4-5 times, I put them in water to make a diluted hand soap. Then, the shells compost! The only thing that bothers me is that they were shipped from far away...but I'm hoping to plant a couple of trees so that I'll be able to pick my own soap down the line. My partner and I are expecting a son in late December and I'm worried about how well the nuts will work on diapers. I'll use borax (seems safe when properly rinsed out) in those loads,but still...anyone have experience with this? I really want to start making my own hand/bath soaps. 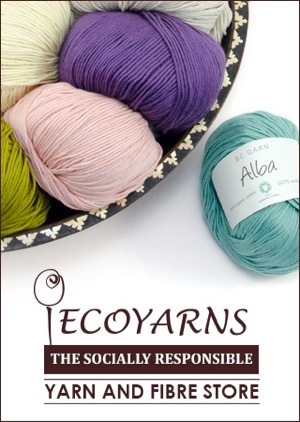 I currently buy it from local artisans and it is *not* frugal to do so. Great post Rhonda. I have collected my ingredients to make the powder and as I have the ingredients for the liquid, I'll make that too. Thanks for publishing your sums as it is great to know what we will be saving! Are u in Australia, If u don't mind, where did u get your borax from. But it is used as an all purpose cleaner for around the house, And no mention of use in the wash. Can anyone suggest a place to get it. Woolworths do not stock it, nor does IGA at my store anyway, thanks tangi. The last time I tried to buy Lux in the UK, I was told the company had been sold and it wasn't available any more. Just a quickie on using napisan to whiten the whites - I bought bicarb soda (non food grade, from a bulk cleaning store)and I use it as my 'pre wash' in every cycle (front loader). I have not noticed that I am getting greyer whites at all, they are just the same. I add it to every wash. Hope this helps some one! Hi Rhonda. 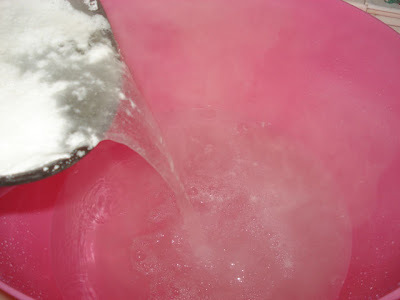 I make powder laundry soap as it's easier for my kids to use. Here's a good link from a guy that has done cost and performance comparisons in the USA. He really did a GREAT job on his blog post. I tumble my towels in the dryer for five minutes on low then hang them up ... the sun whitens them naturally. Great refresher post. Rhonda ... P.S. here's a link to the soap I make. Ann, I have seen those warnings too but for everyone I see, I see an equal number that say it isn't a problem. You just need to rinse well. The toxic amount to ingest is two tablespoons and quite frankly, I'd be more concerned with using that amount of salt in the wash. Salt and phosphorus in our water ways is a major problem. I'd be interested to know what your eco soaker is. It might be either borax or peroxide, ie oxy bleach. When hot water is added to borax it give us a peroxide like reaction. BTW, diluted borax is still used as an eye treatment. Karen, I've never seen nor heard of foam dispensers. Rose, I use a cold water wash.
Stacy, you can use any soap. Whiney fairy, I know of some ladies who add bicarb to the mix instead of borax. It seems to work well. Rhonda, funny you should post this today - I made my first batch of liquid laundry detergent on the weekend! It's yet to be used, because I wanted to make it before I ran out of the store bought stuff. I added x3 capfuls of eucalyptus oil, and it has a lovely wool-wash like smell to it. Looking forward to trying it out in the next week or so. Thanks again - it was such an easy process! Hoping to make your handmade soap recipe next - out of curiosity, have you done costing on this? I made the laundry soap and liked it. My DH was skeptical at first but now has told others about it and strongly suggests they try it as well. Rhonda, foam dispensers are the posh soap dispensers you sometimes find in nice hotels. They are designed to use less soap so they foam up the soap with air as it comes out the pump. Less soap expense for the hotel and a handful or luxurious foam for the user. OR, like we use, they are plastic kiddy soap dispensers for handsoap - just like any other liquid soap one would buy but with a slightly fancier head and about a pound more expensive. Definitely, definitely worth you looking into. Just google "Kandoo foam soap" to see what I mean. There is bound to be a similar brand in Australia. I have been making my own for awhile now based on your recipe but using my own homemade bar soap. It might be a difference of the soap, but I only use 6quarts of water as it was just too thin with the full 10. Also, you recommend just a quarter cup per load, but you have a front loader. folks should realize that top loaders use tons more water and so will need lots more soap. I use a half to three quarters cup of mine, which having less water is Also more condensed. Thanks for inspiring me! I always enjoy passing the detergent aisle right by! Thanks for this detailed info, Rhonda. 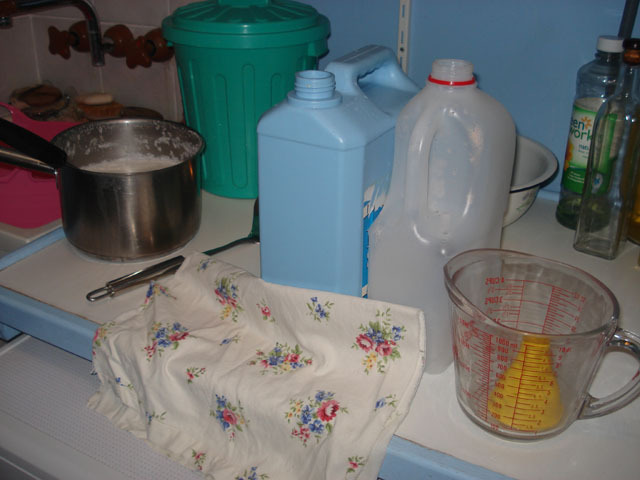 Do you make your own dishwashing liquid also? I have skin issues, and need something that is gentle on the hands. I've been making our laundry soap for about a year now. I started out with the liquid and moved on to the powdered just because it's easier and more convenient. I have used Ivory soap and Fels Naptha for it and once in awhile I do add the oxybleach to my laundry to brighten the clothes. Only once have I bought any laundry detergent because we ran out and there wasn't time to make any quickly since then, and I couldn't believe how quickly it was gone for many more times the money. I have figured it costs about 3 or 4 cents per load for the homemade kind here in the U.S. I doubt I will ever go back even though I am back to working full time outside the home. I've found Washing soda at Loblaws, as well as No Frills. It's usually on the bottom shelf in the cleaning isle, and it's in a box a bit bigger than the size of a borax box. The box is blue. Hope that helps! I just started using homemade laundry detergent about a month ago. I will never use anything else again. I love it! Thanks for sharing your recipe! I've been using your liquid laundry soap for about a year now, and have converted some family and friends. What gets them is the amount they save. My calculation is about the same as yours - i.e. around $2 for 10 litres, which lasts my family of four three months. Previously, I was buying a 1 kilo of laundry powder at Aldi for around $7 every three weeks. So, I calculate I save around $110 a year just there. i love this recipe! I've convinced several friends and family here in the states to use it as well. Thank you for keeping this blog! Okay, I've finally gotten brave enough to get the ingredients. I plan to make some this weekend. For those in the US: The ingredients (using Fels Naptha soap) are available at Ace Hardware. And if you order online, they'll ship to your local store for free. Thanks for sharing your recipe Rhonda! I'm just about out of laundry detergent, but I do have all the ingredients you have listed, so I'll make some. How perfect! Thank you for this post, as usual very interesting and informative. I have been making my own laundry liquid since March this year, and I am very happy with it. When I costed it out, my ingredients cost was pennies compared to pounds! My recipe (from another blog site) makes approx. 6 litres per batch (about 52 washes), I use approx.1/2 cup per load. My family is 2 adults and 2 small kids, so a fair amount of washing is done here - 4/5 loads per week. My previous costing for washing tablets 2 per wash worked out at approx. 28p, the liquid costs about 4p per wash. I calculate saving about £70 per year - which is a significant saving for our family. I find no problems with greying, and anything white that gets really grubby (school shirts & sheets for example) get soaked in Napisan or cheapo oxy bleach for a couple of hours before washing. I am amazed at how easy it is to make, and also proud to have released myself from store sufficiency - at least in this area! I would also like to put in a good word for soap nuts. We don't have kids yet, so our laundry isn't heavily stained, but I've found soap nuts to be an excellent laundry alternative. I really like the fact that the used soap nuts are biodegradable. I make a liquid laundry detergent by steeping the soap nuts in hot water and I find that this works best for us. Also, if you buy in bulk, soap nuts are even cheaper than making your own detergent, at least for me here in the Pacific Northwest. I have made the dry laundry powder and the laundry liquid and find they work very well thank you! My laundry liquid is separating into the gel and like a watery substance - still works fine - just wondering what I did wrong? Please can you give me a clue? You did nothing wrong dear. The liquid often separates. You should store the liquid in a container that can be shaken before use. That way you mix it all together again. I'm not sure why it separates. I think it may be when you don't completely dissolve the components before mixing. Mine separates sometimes too but as long as you shake it up, it's fine. Hi Rhonda, I enjoy your website and have been making your powdered laundry detergent with success. I'm unable to buy the powdered washing soda, only the crystals - but I put then in my blender and powder them - not sure if this is OK but the washing seems to still come out clean. My understanding is that borax is okay in a septic but it's not okay in the garden. It will build up in the garden and kill your plants. You can leave it out or replace it with 1 cup bicarb (baking soda). Good luck on your new property! I was wondering if I could just use my left over bits of home made soap (your recipe) instead of the commercial soap flakes? I look forward to using your other recipes and tips. Also, just to be clear, if I need to whiten anything I can just use hydrogen peroxide, correct? I also do not plan to use the borax. Is it ok to use baking soda (bicarb) instead of borax for all recipes. If so, what is the coversion for the replacement. Sorry, I know these are a lot of questions but this is my first time. I haven't made my soap yet so I will use the commercial flakes for my first batches until my soap is ready. I was just curios on why I had to buy flakes if I was going to have my own soap. Hi Rhonda, I just wanted to let you know that after months of having the supplies sitting here, I finally got around to making some laundry liquid! Two loads washed and folded, dried by the sun and no icky detergent feeling on the hands. Many thanks for inspiring me to take this step, Christine. We were using powdered and it just wasn't working, this is perefect though! Thanks for sharing! I'm switching over to making my own laundry soap in the new year and have worked out the costings for me in the UK using your recipe is around around £1.05p per ten litres. However I haven't included delivery of the bulk ingredients, which is £5.99 for 14kg combined. I could get the ingredients from different online stores cheaper but the postage costs would eat away at the difference so I tend to stick to one place. I know this is an old post, but I wanted to see how you make yours. I've been doing this for a year now and found that Oxiclean makes a difference. Aldi's is far from us, so I don't know the benefits of using the gas to buy their brand. Anyway the real reason for my post is I can't believe that there are Woolworth's still around. 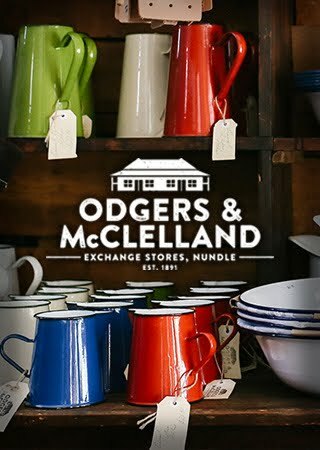 I used to love that store as a child. They haven't been in the U.S for ages.. In Canada there is a company that ships to your door for free on line called well.ca, they ship to the US too but I am not sure if there is a cost. They sell soap flakes, washing and baking sodas, and borax bulk wholesale from an amazing eco company called eco pioneer soap company. This is the very best way to make liquid laundry soap. I have zero affiliation with either company I am just so impressed with their service and products, second to none here really! You could also order ess. oil to add to your soap too! How fun is that! You have answered a question which i have had for a while - is the borax that i see in lots of recipes ok for my garden (no!). I am also concerned about the sodium content of washing powders based on bicarb soda or washing soda. Thoughts? One point that i would like to clarify for everyone is that you should not ever add your napisan or any other oxy bleach to liquid formulas - the reason that oxy bleaches are so eco friendly is that they rapidly degrade (whilst they bleach) into oxygen and water. If you add this to your liquid mixture, by the time you go to use it, all that will be left is expensive water! Best to add your napisan as an inwash booster as you go. Coles does a nice homebrand sensitive napisan with less fragrance than the others. Many years ago I used to make my own laundry detergent. All I can remember from it was that I had to grate Sunlight soap or use Lux flakes. However, what I found was that after a few washes everything had a "greasy" feel to it & I would have to put everything through a wash with commercial detergent to get rid of it. Does anyone have that same problem? I'd really like to go back to making my own detergent & other things, because I've had to go part-time at work to care for my husband & we need to save money, but I really don't want to be having my clothes get a buildup on them. Those people who are using SoapNuts - are they actually a seed of a plant? If so, do they sprout when you try to grow them? I've looked at the website & that's my impression - that they are actually the seed of a plant & if so, it might be worthwhile trying to plant one yourself (in a pot, so that you can contain it if it is ginormous or feral) & see how it goes. Quite the contrary, Judi. When I stay at my sister's and use her commercial stuff, I find I have a waxy coating on my clothes. One wash in the real stuff gets rid of it though. I'm 28 and a full-time working professional. I never thought I would make my own laundry liquid. I was previously using Eco-Store however I love your liquid better! I have since passed your recipe on to others. Thank you! Just wondering if this recipe for homemade laundry liquid and/or homemade laundry powder is suitable for twin tub washing machines? I've made the laundry liquid and have been using it for about a month now. 1. Stain remain untouched, particularly food and blood stains (washed with the shop bought powder without a pre -wash) and the shirt collars are dirty too I'm afraid. 2. The colours of some cloths fade. I had problems finding the washing soda powder in the UK so in the end used the crystals. It is said in the recipe not to use the crystal. Can you explain why please and what could be the causes of the liquid not working? I was very exited to use eco-friendly and cheaper solution but am on the edge of giving up now. I am looking forward for some tips please. I would be interested in this too. I tried the homemade laundry powder too, and found the same thing - food stains weren't coming out, things generally didn't seem that clean. I was putting things through two washes sometimes. Everything smelt lovely, but just didn't look remotely clean! I was wondering whether I need to use more of the mixture than I would of commercial laundry powder? Liz, I do use my soap sometimes but it's more expensive. My main standby is the Lux flakes. 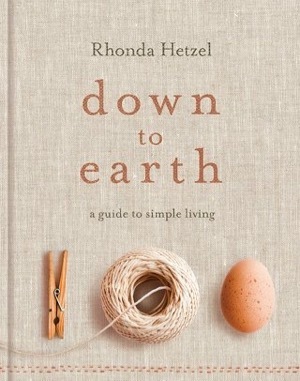 I bought your book "down to earth" and absolutely love it. It's my bible of sorts! I am 26 and live in a shared house with 4 other people and they all laughed at me when I was making my own washing liquid - but now they have all become converts and it has saved us so much money, with at least 3 loads going through the washing machine a day. I also bought a stainless steel drink bottle and now use that instead of bought plastic ones - saving a huge amount of money and good for my health too. We have a small vege garden here in Kalgoorlie - it actually does quite well! I always take my reusable bags to the supermarket and I continue to make other small changes thanks to you. I look forward to when we move home to our 16 acres and can become somewhat self sufficient. Thank you for your inspiration! Hi Rhonda ... when you mention using oxy-bleach in place of borax ... are you talking about napisan type product? Yes, that is what I mean. I use the one from Aldi. 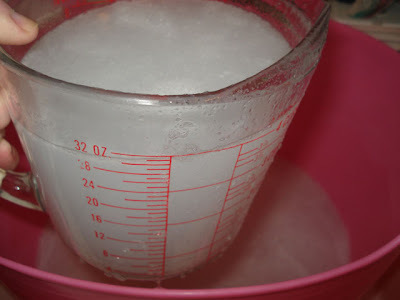 I am so excited to find this blog and make my own laundry soap, however I can't seem to find the amount to use for the wash - for the powdered soap. 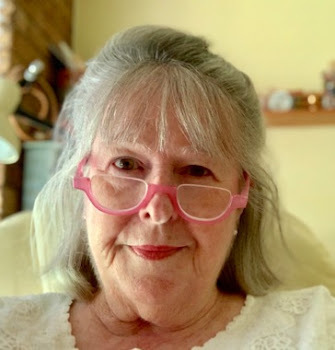 Hi Rhonda, I've just found your blog, what a gift, thank you, it's fantastic and just what I'm in to. AND I've made this laundry liquid this afternoon, it was so easy and cost next to nothing as I already had soap. I have been making the laundry liquid for about 8 months with sunlight soap and find it works well (front loader),my daughter has 2 grubby little boys and decided to grate 1/3 Sard soap and 2/3 sunlight,she likes the smell better, and it works on kindy paint and fruit stains. Sunlight bar soap is an amazing stain remover,you have to hang the wash in the sun for a day or 2 for it to work on tough stains.....Bike chain Grease on white pants...3 gentle scrubs (1 a day) with a nail brush and sunlight soap, 3 days on the line...all gone. 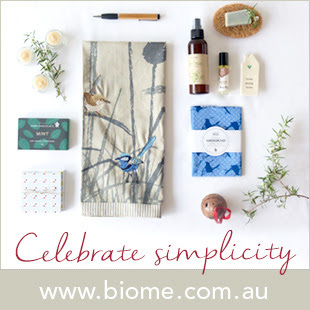 Hi Anne, I've looked thru the net online shopping products at woollies, coles, aldi's, no such luck for the borax. But then I looked thru bunnings and found 1kg Glitz Green Borax for $7 dollars plus. Only thing is, it says nothing about use in washing/laundry. But pretty much says its an all purpose cleaner. I'm waiting to see whether anyone has used it or not. You can use the Bunnings borax in the wash. It's fine. I bought borax at my IGA this week and I saw it on the shelf at my local Woolworths.